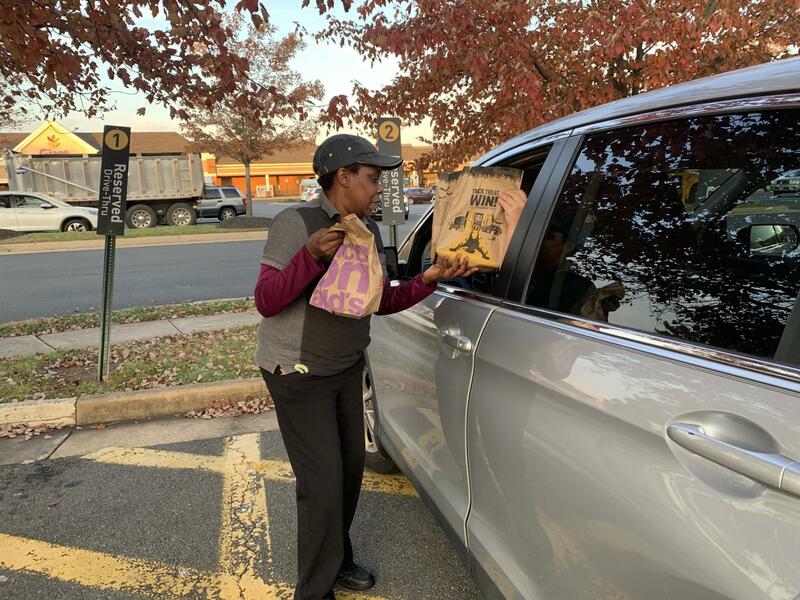 Ms. Dorothy who is 58 years old, is well known for working at the McDonald’s in Junction Plaza and among high schoolers for her hard work ethics and kindness. Two football players from Broad Run offered her football tickets to the Battle of The Burn Game because they wanted her to watch them. She says that pleasing customers and making them happy makes her feel good. Meeting new people is a favorite part of her job at McDonald’s. “She has a positive attitude and is a hard worker. She works well under stress because on Mondays, Young Life goes to McDonald’s and 50 kids are in Young Life and I see her working when I go there,” said sophomore Will Snuggs. For many years, Ms. Dorothy has had a bad back, bad knees, and arthritis. She slipped when she was at work and ever since then she works with bad pain throughout every single day. She says she is blessed and sees other people who are for worse than her. “I am blessed each and every day and I try not to complain. I make the best of it and try to greet everyone with a smile.” Ms Dorothy said. When her boss first met her, she put her in the lobby because she felt like she was good with people. Ms. Dorothy takes out the garbage, delivers food, mops, cleans, helps everyone in the lobby, and does dishes. She only makes 8.65 dollars an hour for all the work she does. “She has a positive attitude and is a hard worker,” said freshman Darick Heidary. Besides working at McDonald’s, Ms. Dorothy also has another job at Dulles Airport as TSA Security. As a single mother, Ms. Dorothy works her hardest for her son and to open up her dream company, “Dotty’s Potato Salad.” Her mom taught her her work ethics and has helped her in life. Her mother is almost 80 years old but still has a job working as TSA Security with Ms. Dorothy. Ms. Dorothy has worked for McDonald’s for 2 years. Many customers including students appreciate her work.